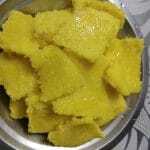 Sev Khamani is a well-known snack of Surat in Gujarat. It is made from grounded Chana Dal and other at home ingredients like ginger, garlic, green chilies etc. Sugar is added to give a tangy taste to it. 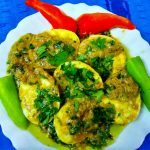 The culinary skills you require for making this exquisite dish is to blend the ingredients and to steam its batter at a particular temperature. 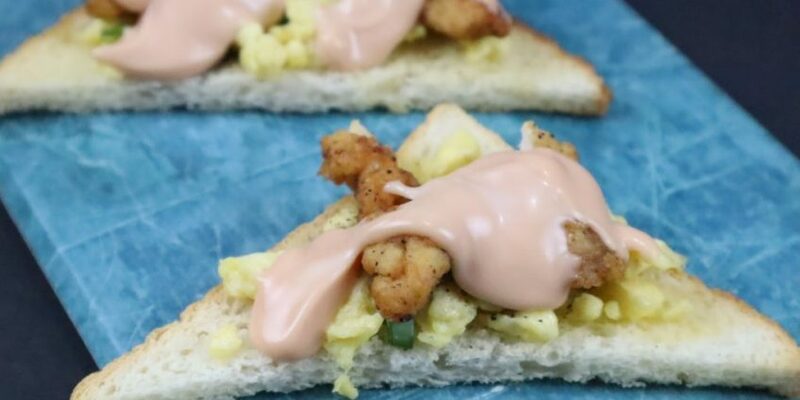 Very easy to make and gets ready in less than half an hour. 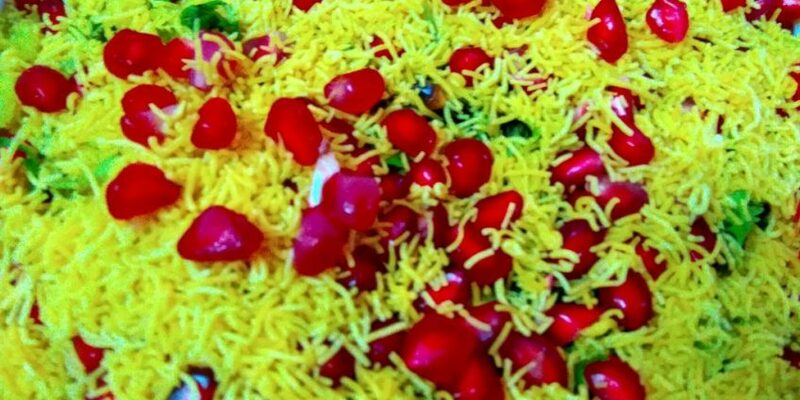 Surti Sev Khamani can be served as a breakfast and also as an evening snack. A mixture of a sweet and sour taste that will surely you ask for more. Surtis (people of Surat) are very foodie. People here get into line for getting the best, fresh and delicious food. 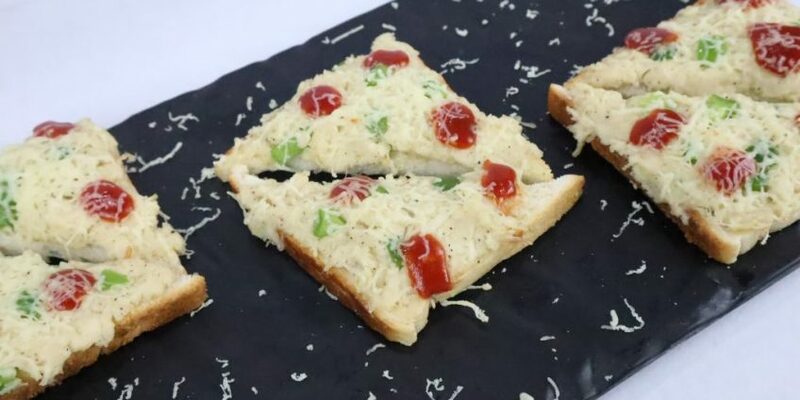 This snack belongs to the special list of snacks of Surat. Soak chana dal in water for 4 hours. Remove water from dal and blend the dal in a mixer with green chilies, ginger, and garlic. Prepare a thick batter. Add salt, asafoetida, lemon juice, sugar, turmeric and mix well. At the end add ENO soda mixture and steam it for 20 minutes. After 20 minutes check with a toothpick and break it with hands into small pieces. Heat up oil in a saucepan. Once oil gets hot, add mustard seeds, green chilies, curry leaves, water, and salt and cook for 2 minutes. 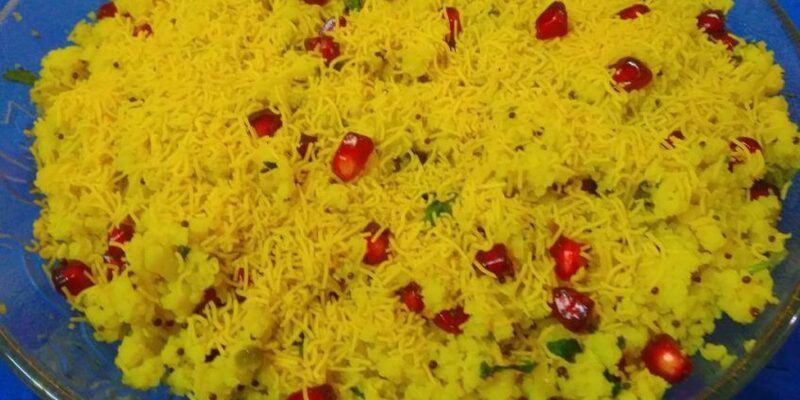 Your Surti Sev Khamamni is ready to serve. 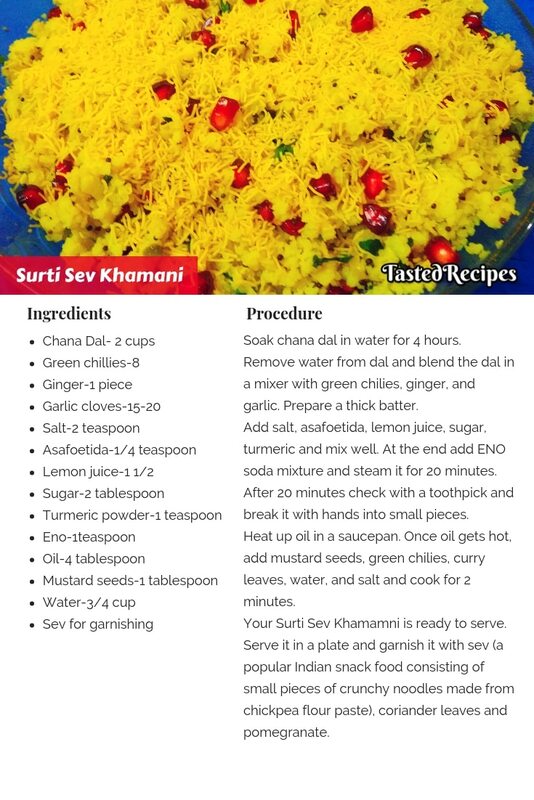 Serve it in a plate and garnish it with sev (a popular Indian snack food consisting of small pieces of crunchy noodles made from chickpea flour paste), coriander leaves and pomegranate.